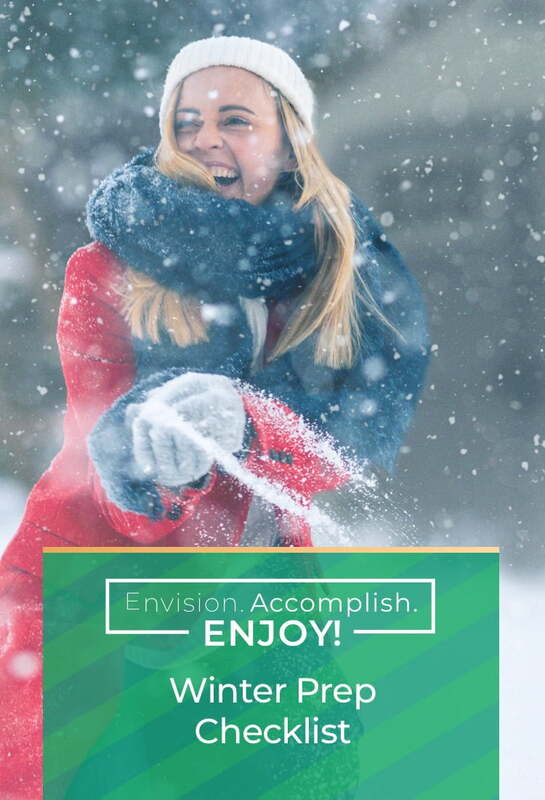 Tackle these to-dos before the first snowflake falls! The holidays are a busy time of year for many families. As the seasons change and the temperature falls, it’s especially important to set aside a few moments to ensure your home and space are ready for the chilly months to come. 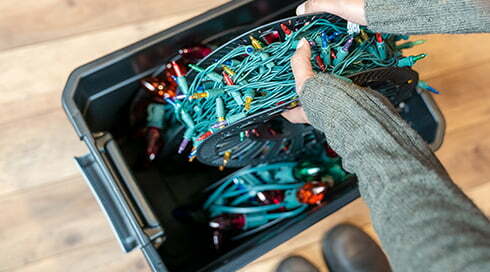 To help, we’ve put together a checklist of some of the most common tasks you’ll need to complete to make the season stress-free! Rake up those remaining leaves. Pick a dry day to make the yardwork easier. You can even consider creating a compost pile in your backyard! Deck the halls! 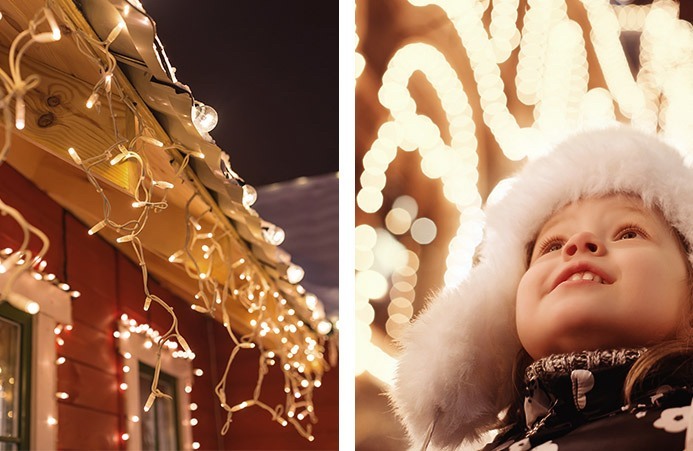 Make your home the envy of the neighborhood with an extravagant holiday light display! Store patio furniture and cushions in a safe place like a shed or deck box. Suncast has plenty of options available if you need extra space. Drain your hose and store your hose reel away. This is critical because excess water can freeze and cause damage to your hose, hose reel, and pipes! Move plants inside for the season. Relocate vulnerable plants indoors—preferably where they still get plenty of light! Stock up on the essentials. 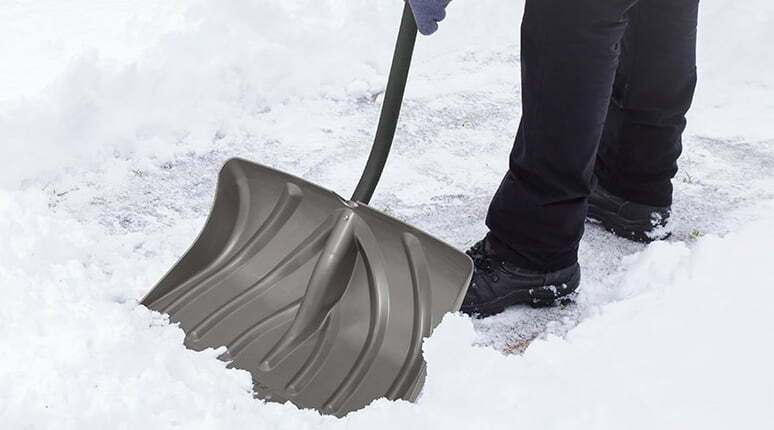 Make sure you have easy access to a reliable snow shovel and keep plenty of rock salt on hand for the first snowfall of the season. 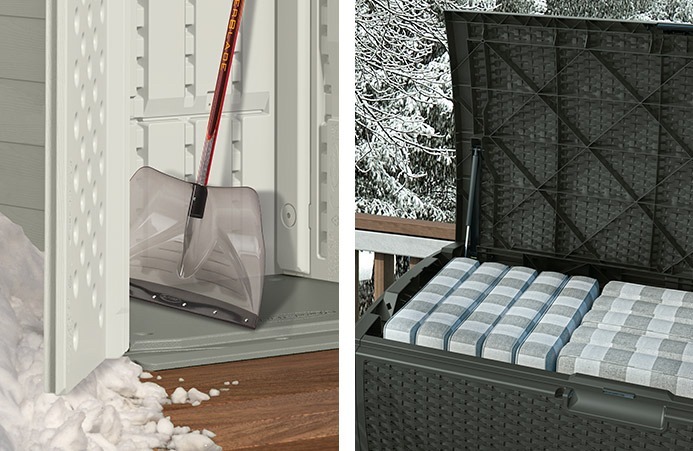 Suncast offers shovels in a variety of styles to fit your unique needs! Grab a gift for everyone on your list. Check out our handy gift guide for practical ideas to help the whole family get organized.